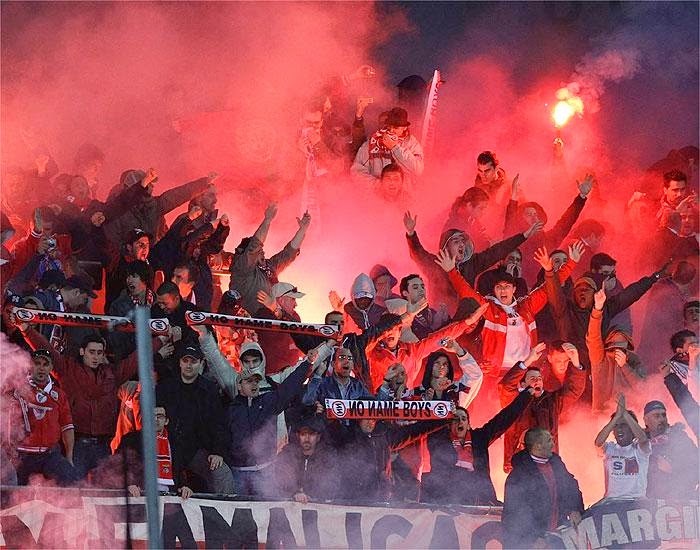 In this week's Football Rivalries we are in Portugal for the derby that divides the country between North & South. "O Classico" as it is known in Portugal, between SL Benfica (Lisbon) & FC Porto (Porto) has become the biggest derby in Portugal in recent decades due to the clubs dominance of the Portuguese footballing landscape. This rivalry between SL Benfica and FC Porto is a rivalry that has been around for just over 100 years, it all started in April 28th 1912 with Benfica defeating Porto 8-2 in a friendly match. Up until 1934 both clubs competed in district competitions within their own city and region. Both clubs dominated their respective leagues. Benfica won the Lisbon title 9 times and Porto won the Porto title 19 times up until 1934 when the First Division was created. During this period Benfica and Porto would only play against eachother in the Portuguese Championship which in 1938 became the Portuguese Cup. For the next 10 years both clubs would split titles year after year, with Porto winning 3 times and Benfica winning another 3 titles during that span of time. From 1950 to 1978 there was a clear dominance from Benfica which was seen by many as a club of the fascist regime that was in power in Portugal during that time. In 1977, Pinto da Costa at the realm of Porto as their president would bring Porto back to their glory and re-ignite the rivalry between these two giants. In 1978 Porto won the league title for the first time in 19 years, but it was only the beginning, while the 80's were divided by both team in terms of titles the 90's and 2000's were of complete domestic dominance from Porto. Benfica won the league title in 2004 after 10 years without the domestic title. This dominance by Porto was in large part due to Pinto da Costa leadership, business acumen and ability to create a staff around him that allowed Porto to grow domestically but also in Europe where among other titles they won the Champions League and Europa League twice each. This dominance of Porto over Benfica sparked an even bigger rivalry between both clubs. Porto wanting to surpass Benfica in total titles (they lead by 1 overall title), and Benfica wanting to regain control of the domestic scene and push Porto back to the second seat. Both clubs are not just football, they have other sports under their umbrella. Basketball, handball, hockey, futsal among others are just some of the sports in which these two rivals compete against each other. The rivalry between them extends to any field, building and surface. The last confrontations between not only fans but players has been during basketball and hockey matches. Doesn't matter what game it is, how important it is, or what sport it is the rivalry between these two clubs seems to always spill over to the fans and it is rare that a game between these two teams goes without incident either on the field or in the stands. In 2012 Benfica won their 23rd basketball title after defeating Porto 56-53 in their pavilion. The players were only able to receive the trophy in the locker room. They were held there for nearly 2 hours due to confrontations between police and Porto supporters following the end of the game. Team buses have been vandalized, when either team visits their rival. Fans have been arrested, and players have been suspended but nothing seems to calm the tempers down when these two meet. The hate between these two clubs boils down to even the youth soccer teams. The latest incident occurred this year during a match between the junior squads of both clubs. The game ended 2-1 for Porto, and in the end players from both teams started to confront each other while on the field. 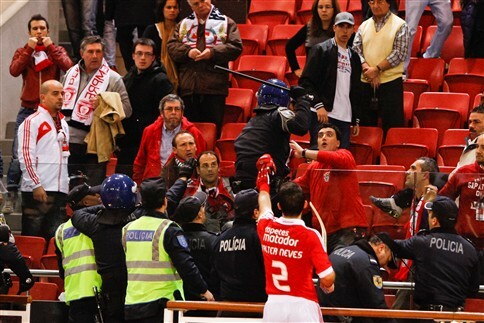 Some of the Benfica players tried to get in the stands to fight with Porto supporters that had been heckling the Benfica players for losing the title to Braga. I am sure many more chapters will be written about these two clubs. I just hope while a heated rivalry and fight for supremacy in Portugal is welcomed the violence that follows can someday end and we can just let the players battle on the field for the victory and not with their fists. The players and club directors need to lead by example, but more often than not they are the worst examples we have in football. You should speak about the FCP influence in the arbitrary that was proved in many phone calls but Portugal has a different justice from Italy. I didn't want to talk about that since it didn't really add to the history of the rivalry but it does add a different chapter to the story of FCP. If justice existed in Portugal, FCP would had been dropped to 2nd division just like Juventus and PDC been arrested. And LFV also caught choosing referees. All presidents have hinted at what referees they want in their games, i don't think LFV has ever been charged or accused of match fixing or paying referees.